Since that is basically impossible, you should probably get ready to impress your significant other, and by significant other, I mean girlfriend. No one cares about the fellas when it comes to V-Day. Do we get commercials like this, telling our girlfriends to buy us awesome, expensive things? 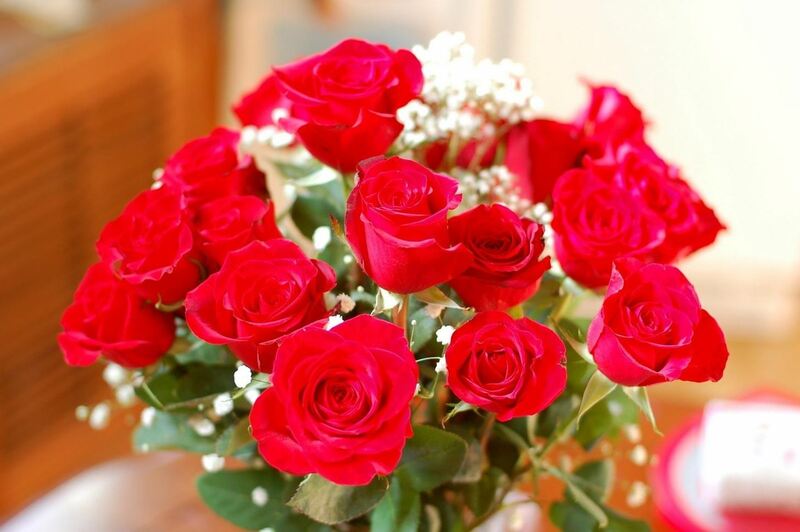 Now, one of the most popular gifts to give on Valentine's Day is a bouquet or assortment of freshly pick flowers. Why? Because ninety-percent of us can't afford expensive jewelry. Some of us can't even afford flowers. But, bouquets can get pretty pricey, so here are a few tips on how to keep the costs down and get the most bang for your buck. Like anything that is going to set you back a little, make sure to plan out exactly how much you want/need to spend. Take into account dinner, travel expenses, and little gifts, and then create a budget that will help guide you in your choice of flowers. Realistically, for most of us, flowers is all they're going to get, so budgeting shouldn't be too hard. Especially now that Valentine's Day is like a day away. When it comes to last minute gift-getting, it can be super stressful, so why not get some assistance? Instead of ordering online through some flower broker, or randomly picking "nice looking" flowers at the florist or grocery store, call in to your local florist directly or ask for help while you're in there. 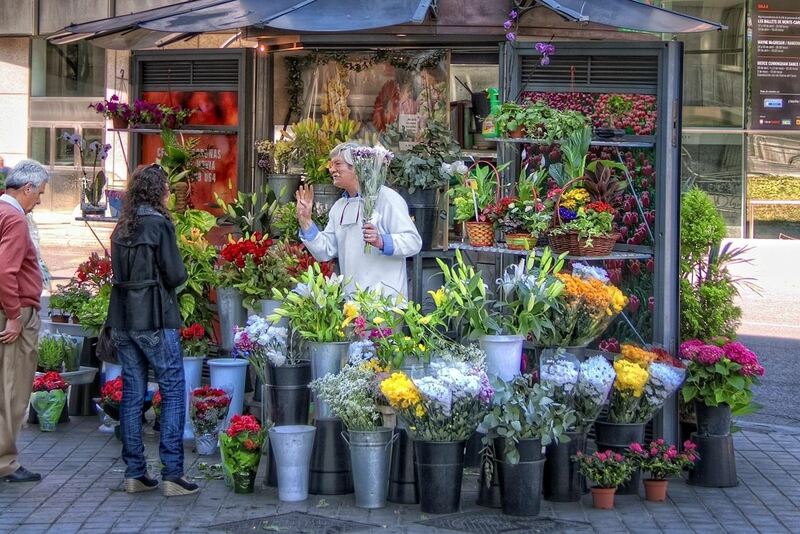 The florist will obviously know a lot more about flowers than you will, and he/she can help you pick out a set of flowers that could put a dozen roses to shame, all at a reasonable price. If you prefer to be a little more original, or just know a few flowers that your girlfriend likes, be sure to ask for the designer's choice. 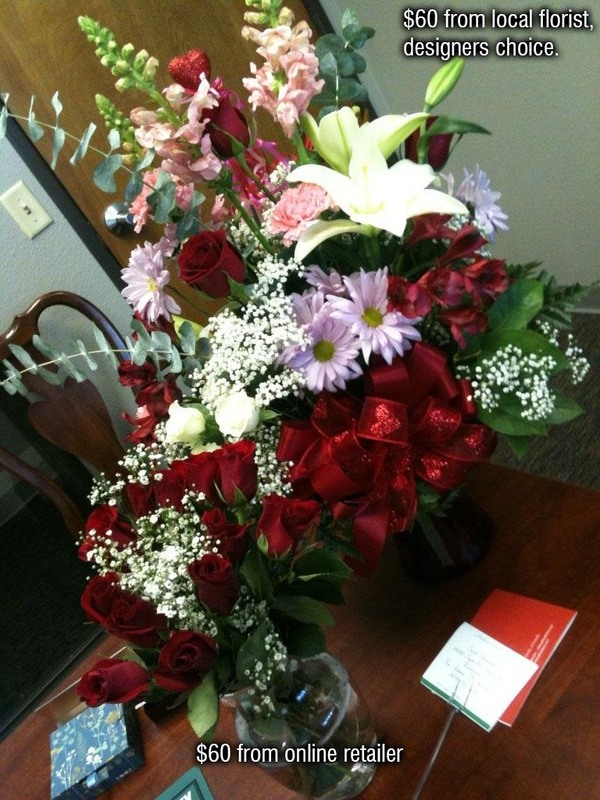 Tell him or her what you're willing to spend and let them pick the best possible arrangement of flowers for that price. The designers are hoping to impress you just like you're hoping to impress your girlfriend. They want repeat customers just like everyone else. It's a win-win, and it shows that you put a little more effort into the process. Avoiding the Wal-Mart complex may seem like a hassle, but if you buy flowers for people every now and then, buying from the same local florists is a must. Create a relationship with the workers and owners and they'll be sure to help you out down the line, and may even hook you up with a discount. Does Your Girlfriend Hate Flowers? 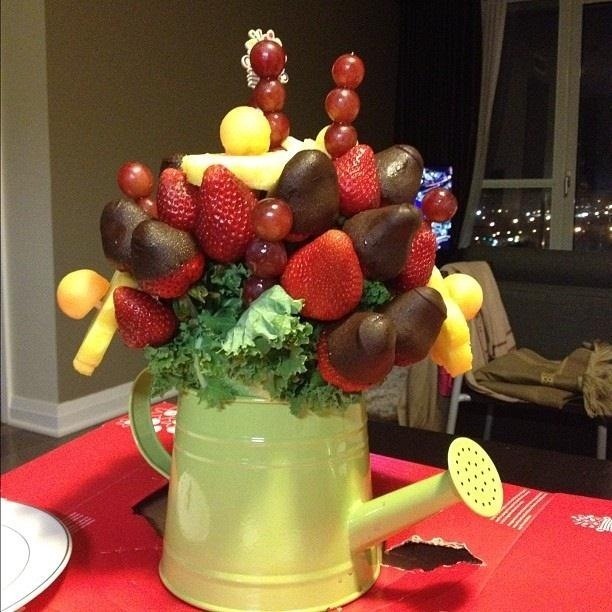 If you're not into flowers and want to stick to a low budget, you could always make an edible arrangement yourself. 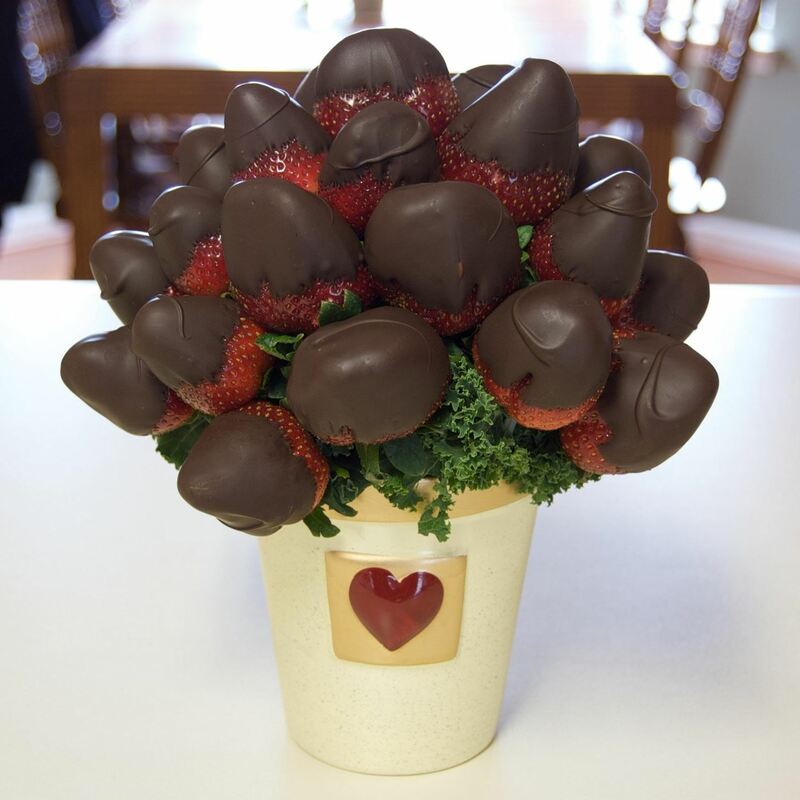 Don't shell out up 140 bucks on some fruits and chocolate you can buy for 10 dollars. All you need is a basket, some wooden skewers, some creatively cut fruits, and chocolates. If they're not much for nutrition and chocolates, maybe a bouquet of liquor will work better? Now got out there and save some money! Do you have any Valentine's Day gifting tips? Let us know in the comments section. Just a little more motivation if you were still unsure about shopping local.